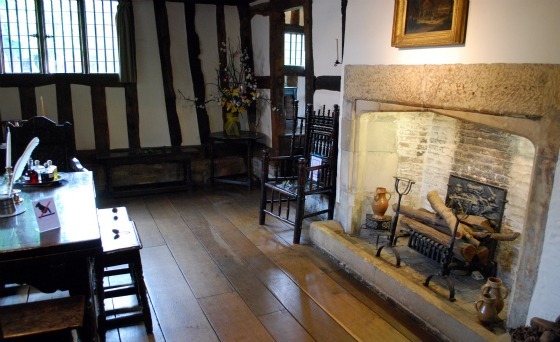 Shakespeare’s eldest daughter, Susanna, married the town doctor, John Hall and lived in this house near the church in the centre of Stratford. The house is preserved with luxurious rooms, befitting of a man of his status. We thought this house was absolutely charming. It’s very attractive, interesting to wander round and the formal garden is beautiful. Inside the house, there are some medical artefacts and an edition of Dr John Hall’s medical notes from 1657. 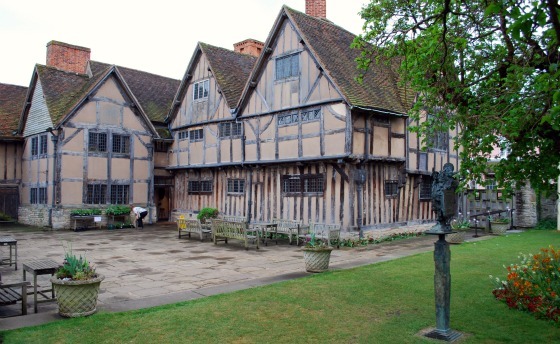 Whilst this is a great example of a house of its period, we felt it was the house which has the least connection with Shakespeare himself but it’s still well worth visiting. This is an extract from our free Shakespeare Country Guide. Adult admission to the town properties is £12.50 or a ticket for all five will cost you £19.50 (2011 prices). Booking online here can save you money! Also, tickets are valid for 12 months from the date of issue to allow you to return for free. Hall’s Croft is open every day from from 10am to 5pm (April to October) and from 11am to 4pm (November to March). 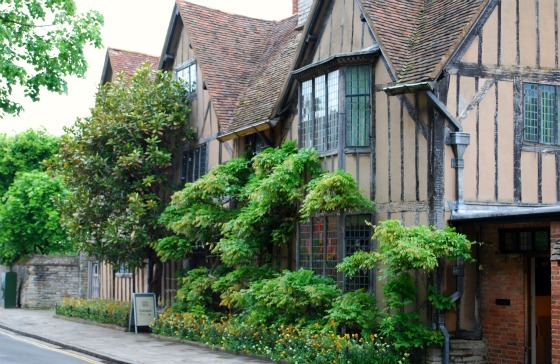 Hall’s Croft is just around the corner from Shakespeare’s Grave at Holy Trinity Church and a short walk through Avonbank Gardens to the RSC Theatre.